In this Instax Mini 8 review we take a look at the most noteworthy features, pros and cons of the camera. The Instax Mini 8 is awesome because it develops your photos immediately, is super easy to use and comes in 7 funky colours. This camera is perfect for weddings and other special occasions. Has a 4.5 star Amazon rating based on 6000+ reviews! The camera will inform you of the best setting and all you have to do is turn the dial to the illuminated setting. Additionally, moving the brightness adjustment dial to the high-key mode mark allows you to take pictures with a softer impression. The 1/60 second shutter speed is fixed and the flash always fires, with a recycle time of 0.2-6 seconds. The Instax mini 8 produces 62 x 46mm photos with a white border which seems like the perfect place for adding a message or other personal touch. The camera uses Fuji Instax film which comes in packs of 10. Of the five exposure settings, the Sunny, Slightly Cloud mode generates the most rewarding pictures. There’s good detail in the foreground and background with a good colour range. Taking photos of people works particularly well, shooting great scenery shots or simple pictures of objects takes practice. Be sure not to accidentally cover the exposure sensor with your finger. It is located on the front of the camera close to the flash. The viewfinder is, somewhat unusually, located on the right side of the camera. If you feel uncomfortable viewing with your right eye you can simply use your left eye as shown in the video above. As there is no automatic focus it is important to take the time to get the correct focus before taking your photo, otherwise you will not only get a bad photo but you will waste film too. 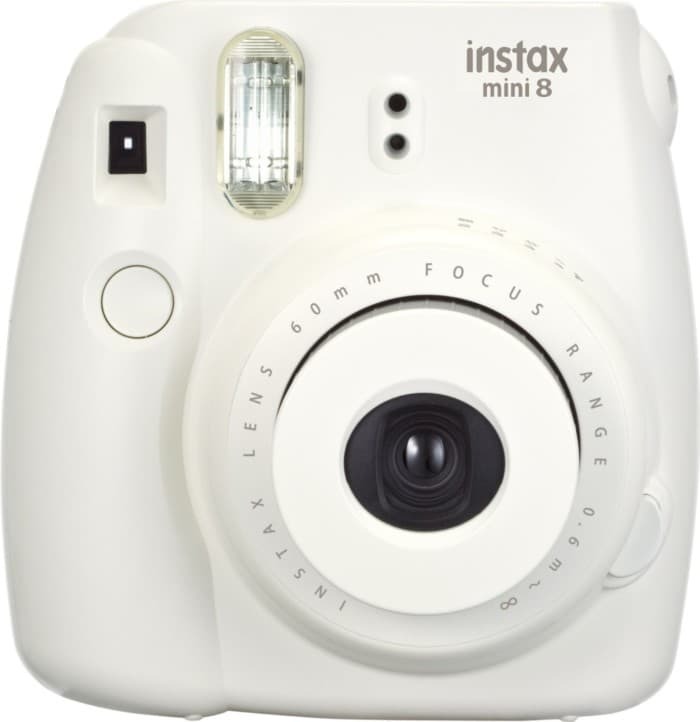 Available in seven colours, the Instax mini 8 has a cute and compact design and comes in a matte plastic finish. If you are used to compact or phone cameras then the Instax mini 8 will undoubtedly feel a little on the large side however it’s worth pointing out that it only weighs 307g and is 10% slimmer than the Instax Mini 7. It’s light and compact enough to store in a small bag or rucksack without trouble. Bottom line: the fun design of the Instax mini 8 will appeal to adults and kids alike. INSTAX MINI 8 REVIEW VERDICT – SHOULD I BUY? 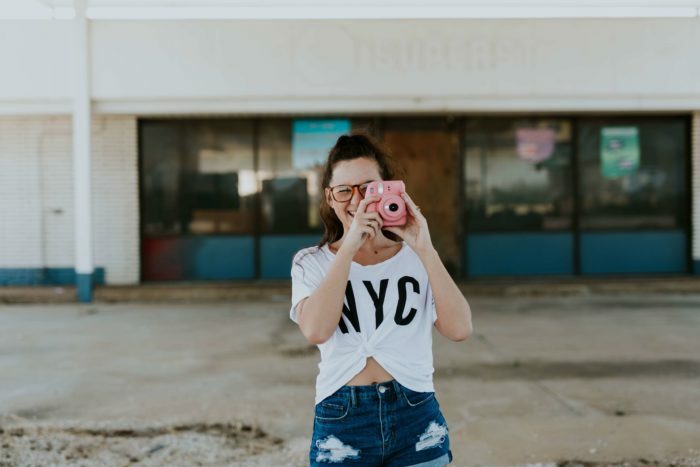 If capturing moments in a nostalgic way with a fun and incredibly easy to use instant camera is what you are looking for then the Instax mini 8 camera is an obvious choice, something that is reflected by its long-standing Amazon bestseller status and 4.5 star rating based on 6000+ reviews.